R.M.S - Search Engine Optimization -- What is it? So you want Your website to be on the first page of every Search Engine - SEO Techniques will help You get there! TheTechniques on this page will enpower You with the information that will move You towards that goal. Set Your aim high, the sky is the limit! Others have done it, so why can\'t You -- Search Engine Optimization ( SEO ) is really quite simple! If You have been putting off optimizing Your website for a higher Search Engine results position, today is a good day to make Your start. SEO Techniques will make it much easier that You expected! The following list of SEO Techniques will help you optimize your website so you will get a higher Search Engine Results Position (SERP). Some of the items can be done quickly -- others will take a bit of time. If you complete all the items on the following list of SEO Techniques, give the Search Engines some time to send out their bots to deep crawl your website, your site traffic will increase. Make sure you are ready for it! Optimizing your website so you will obtain a high search engine results position is what SEO Techniques is all about. It is reported that 65% of all websites visited start with a search from a search engine. For people to find your site via a search engine, the site will require a high Search Engine Results Position (SERP). This means when they search keywords phrases like SEO techniques, they will find you site page on the first page of the search engine results. Ending up on the 10 page of the search engines results will not get you any traffic. Getting a high SERP is a combination of a number of things. Leaving out any of the items on the following list of SEO Techniques can result in your page not getting as high a search engine results position as it could. There are no tricks here, just a bit of work and some time. So let\'s get started by reading the following list of SEO Techniques! Choose your site domain name that contains words from your primary keyword phrase. Your domain name should also be easy to spell and easy to remember. You keyword phrase also should in many cases go in your file name. Read this thread Keywords in the URL from SEO Chat Forum. For example I use the file name seo-techniques.html for this page. Use keywords that are being searched for. You can check your keyword phrases with either theSearch Term Suggestion Tool or the Overture Keyword Popularity Tool to find out how often they are being searched. You can also look at Google AdWords Keyword Suggestions for suggestions for different keyword phrases. Put the keyword phrases in the <title>keyword phrase</title> . Insert the keyword phrases in a <h1>keyword phrase</h1> tag at the beginning of your page. Keyword synonyms should be put in your h2 & h3 tags. The h1, h2, h3 tags are used for titles and subtitles in articles. Make sure you use your keyword phrases from the page you are linking to, in your anchor text on the site map. i.e. SEO Techniques. Keyword density is a very important part of search engine optimization. Keyword density is the percent that your keyword or keyword phrase are of your web page text. You may want to look that your competition to see what keyword density they are using. To high a keyword density will be considered search engine spam and can get you blacklisted. Your keywords should be toward the top of your page and your keyword phrase be in either every paragraph or every second paragraph depending on your paragraph length. Bad search engine optimization techniques can get you blacklisted from a search engine. Some techniques that are considered spam are cloaking, invisible text, tiny text, identical pages, doorway pages, refresh tags, link farms, filling comment tags with keyword phrases only, keyword phrases in the author tag, keyword density to high, mirror pages and mirror sites. Google has a good article on Google information for webmasters that is very imformative if you are considering Getting a SEO Company to so work on your website. The meta keywords tag is not as relevant as it used to be and some say Google doesn\'t ever look at it anymore, but put it in anyway. It is as follows, <meta name="keywords" content="keywords,go,here" /> and put in it all your keywords and keyword phrases. This tag should be different for each page. The Author Tag should contain the name of the company that owns the site. This tag will help you get a #1 position for your company\'s name. You can do this by hand or with a script. For example you can have a php script that draws five paragraphs from a pool of twenty paragraphs when the content is different each time the php page is accessed. www.carsinlondon.com/used-cars-london-ontario.php shows a sample of php script that will do this. Are you pages via php, asp, or cf? 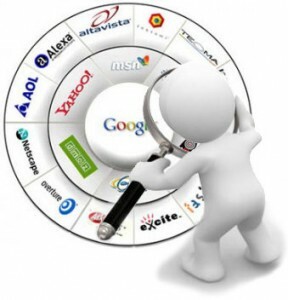 Some search engines may have a problem indexing them. Create static pages whenever possible. Avoid symbols in your URLs like the "?" that you will often find in php, asp or cf pages. Static pages are the best but if you have a db driven site, make sure the menu and site map like go to inventory.cfm not inventory.cfm?vn=0 . Many search engines can\'t follow frame links. Make sure you provide an alternative method for the search engines to enter and index your site. For more information read Search Engines and Frames. You may think, what does site design have to with search engine optimization. Well if your website has a bad color scheme that is hard to read, is not organized, is a cheesy looking site, then all your site optimization has been a waste of time. Make your site attractive to the viewer, make things easy to find, have you graphic header and menu bar the same place on each page. These things will keep your visitors on the site and bring them back. A well optimized site with a high search engine results position that is ugly and is hard find information on, will not keep the visitors your optimization has brought to the site. Use W3C Link Checker to make sure all your page links are good. If you have broken links on your site this can effect the ranking you are given. Put a proper doctype on each page. If you don\'t have a proper doctype on each page Internet Exployer will go into quirks mode and display it different. Use The W3C Markup Validate Service to verify that your pages are Validate HTML or XHTML code. The W3C validation will verify that your HTML or XHTML is not broken. This validation show you any broken code that could cause your webpages from displaying properly in all the different browsers and browser versions. Put all your presentation code into Cascading Styles Sheets (CSS). This separates the presentation from the content and makes your html files up to 50% smaller. It is reported that the search engine bots prefer this and the more content you have compared to presentation in your file, the better you get rated. Read why tables for markup are stupid for an overview. While this file is not really required it should be included so that the search engine bots don\'t get 404 errors when they look for it. Just include the following 2 lines and drop it in the root.